There’s no way to talk about Since You Went Away without talking about how incredible the cast is as a whole. It’s one of those movies where virtually every actor who appears in it is extremely memorable. Lead roles, supporting roles, everybody makes an impact. I’ve already talked a bit about how much I love Claudette Colbert’s performance in Since You Went Away, but her outstanding work doesn’t stop after the first scene. Claudette Colbert was initially hesitant to take the part of Anne Hilton because she wasn’t sure if she wanted to be seen as old enough to be the mother of teenage daughters. But fortunately, a nice salary and the assurance that she would be boosting audience morale were enough to convince her to take the part. Anne may have been old enough to have teenage daughters, but it gave Claudette Colbert to prove just how much range she had. She handled everything from being warm and maternal to uncertain and afraid without missing a beat. Casting actors who are married to each other to play a young couple in love hardly seems like a stretch. 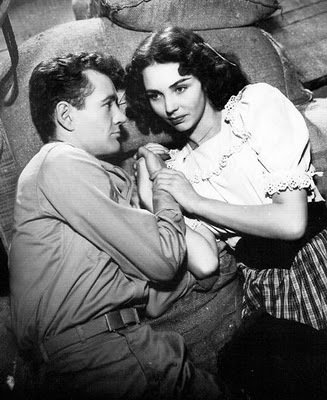 But if Jennifer Jones and Robert Walker’s relationship was ever like Jane and Bill’s relationship, those days were long behind them. By the time they made Since You Went Away together, Jones and Walker’s marriage was essentially over. 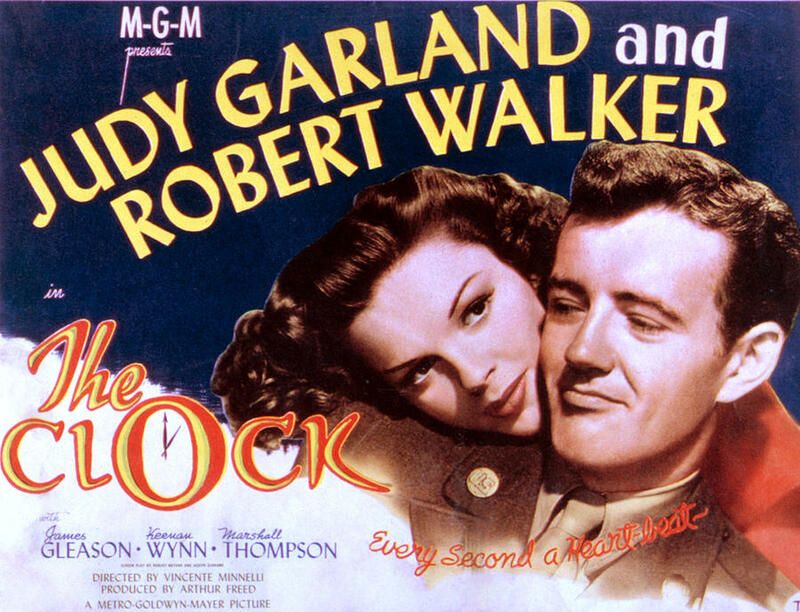 They had separated in late 1943 and would be divorced a year after the movie was released. But their ability to put personal issues aside for the sake of the movie is extremely impressive and a testament to their talent. Their rapport is so strong and they made such a believable couple, I was very surprised to find out Jones and Walker were actually on the verge of divorce at the time. When she appeared in Since You Went Away, Shirley Temple, then 16 years old, hadn’t made a movie in two years. Although Shirley Temple is most widely celebrated for her work as a child actress, she proved to be more than just a cute kid in Since You Went Away. Temple gave Brig such a wonderful natural charm without being over-the-top precocious. All of the cast had great chemistry together, but I particularly love Shirley Temple’s scenes with Monty Woolley. The friendship between Brig and Col. Smollett never fails to warm my heart. 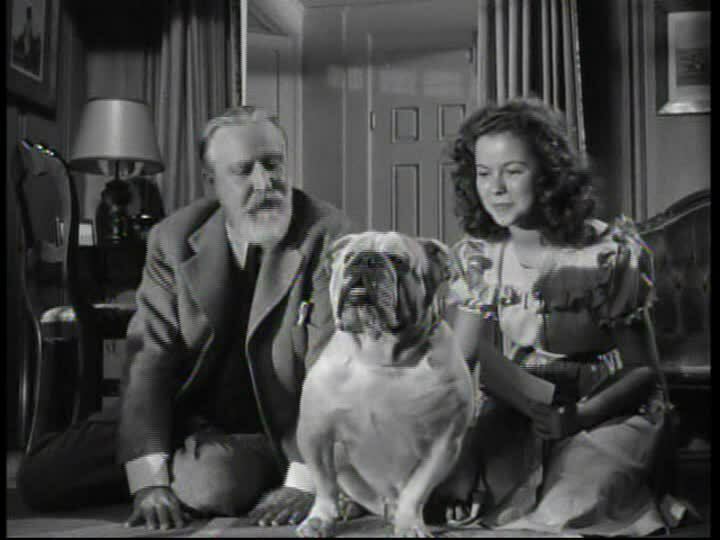 While Shirley Temple is associated with sweetness and light, Monty Woolley had the opposite screen image; best remembered for playing the acerbic Sheridan Whiteside in The Man Who Came to Dinner. Monty Woolley certainly had plenty of chances to do what he did best in Since You Went Away, but Col. Smollett is a character that let him show some softness as well. 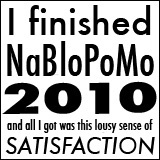 It’s a very well-rounded role that let him show how much talent he really did have. Agnes Moorehead plays Emily Hawkins, Anne’s snobbish friend, and boy does she ever excel at playing someone you love to hate. I tend to think of Emily as being like Sylvia Fowler: The War Years. 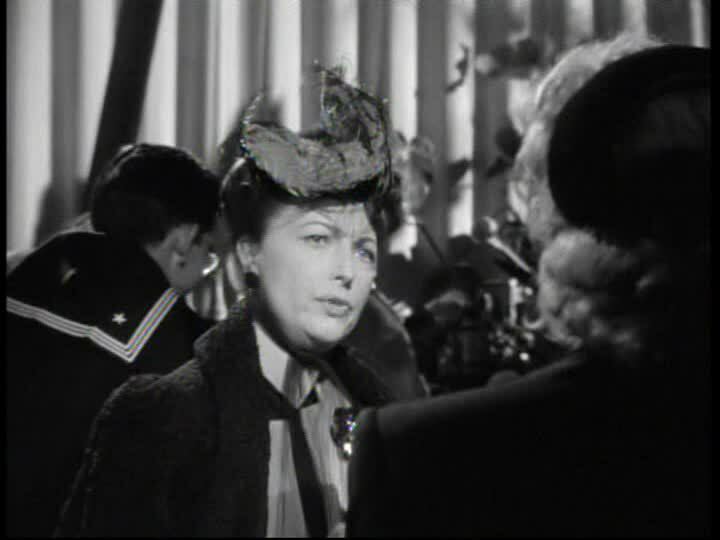 Her haughty attitude, back-handed comments, and wardrobe would certainly make Sylvia Fowler proud. But while Sylvia Fowler is a total caricature, Emily Hawkins feels like someone you could actually meet, which makes the scene when she gets taken down a peg one of the best of the movie. 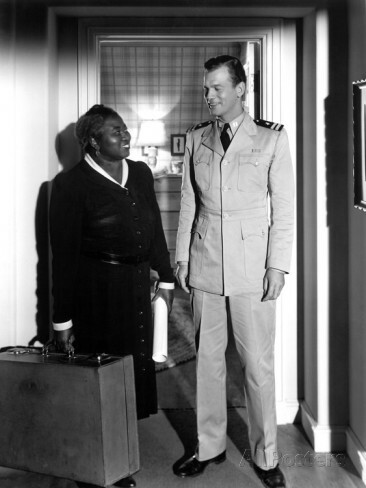 Joseph Cotten was a perfect fit for the role of Tony, the handsome, charismatic friend of the Hilton family. 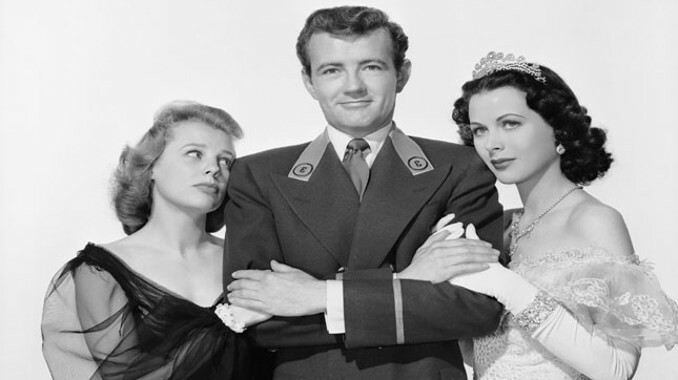 It’s certainly not hard to see how someone like him would be so alluring to young ladies like Jane and Brig. I absolutely love his scenes with Claudette Colbert. Even though there is clearly an attraction and a little bit of history between Tony and Anne, Joesph Cotton never plays Tony as someone who is out to steal his friend’s wife. But there’s just enough of a spark to leave the audience wondering if they’re going to wind up together at the end of the movie. Last, but certainly not least, there’s Hattie McDaniel. Simply put, Fidelia is a classic Hattie McDaniel role. She got to do everything that made her so likable. 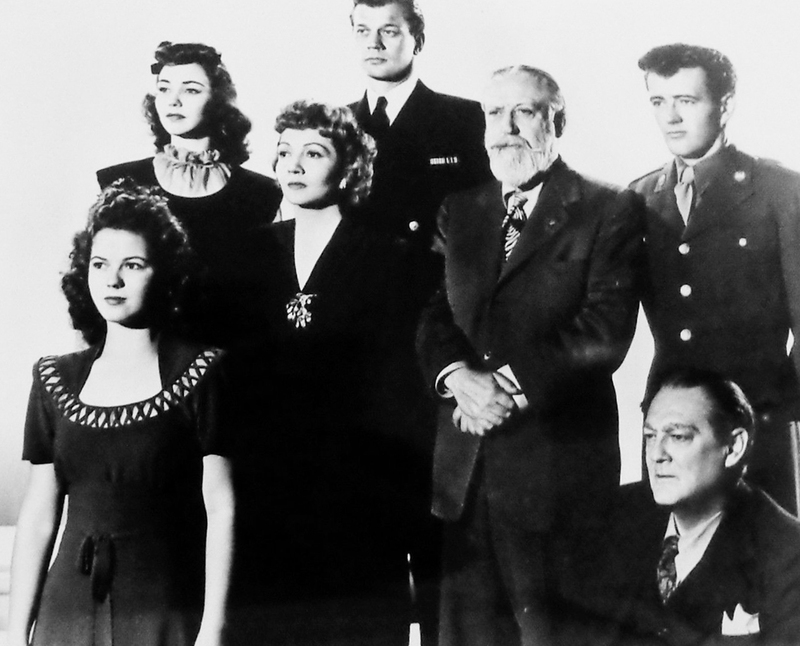 Posted in 1940s, Movie of the Month, Uncategorized and tagged Agnes Moorehead, Claudette Colbert, Hattie McDaniel, Jennifer Jones, Joseph Cotten, Monty Woolley, Robert Walker, Shirley Temple on June 27, 2014 by Angela.